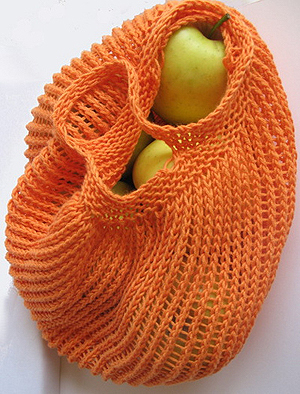 The produce Bag is Also Available as part of Fickleknitters GO GREEN collection! 2 skeins Blue Sky cotton, Blue Sky Skinny Cotton, 1 skein Spud & Chloe Fine, Artyarns UM4 1 skein. More patterns are coming - please check back! 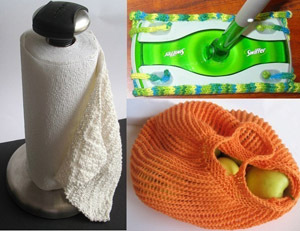 Description Knit in the round Produce Bag - lets air pass thru - shrinks and expands to hold one item or ten. Needles US size 5 DPNs or needles needed to get gauge. Gauge 5 stitches per inch. Pattern Measurements 44.5 inches by 19.5 inches.